The heat of the Mercyhurst-Gannon rivalry could melt all the snow you can expect in Erie, Pennsylvania. 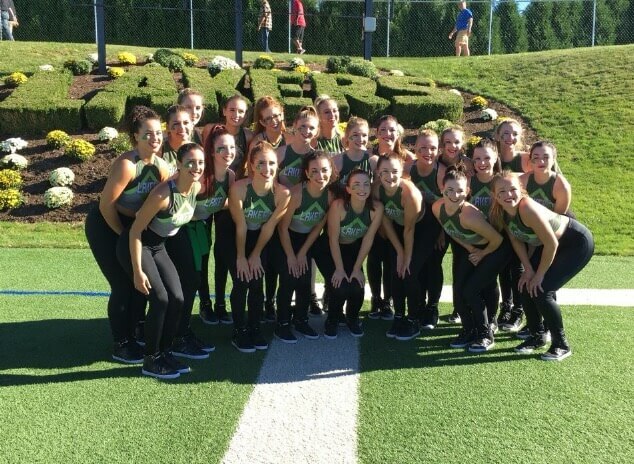 When the Lakers basketball team takes on the Golden Knights at the Mercyhurst Athletic Center, the dance team’s poppin’ and the fans create an uproar. You know you’re rooting for the right team when you’re walking around with Luke the Laker wearing green, blue and white. Here’s why Mercyhurst fans always trump Gannon fans. 1.) Green and white, fight Lakers, fight! Mercyhurst tradition thrives with the colors blue, white and green. The Lakers sport shamrocks along with their sister school in Dungarvan, Ireland. As a bonus, these colors go with everything. Need to boost your blue eyes for the cute guy in your history class? Put on one of the blue shirts. Have brown eyes? Opt for a green shirt. Trust me, your crush will notice your eyes from across the room, not the fact that you didn’t brush your hair that morning. MU won’t turn you into the glaring maroon and gold fashion nightmare that’s the Gannon Knights. 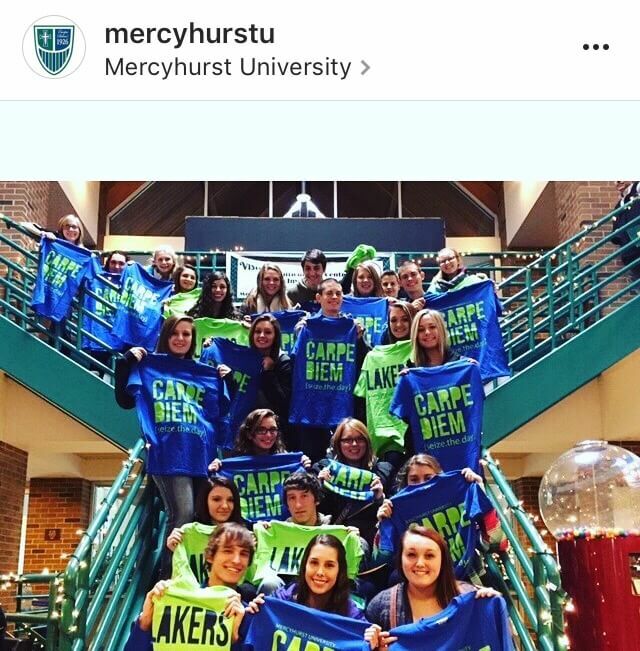 Mercyhurst Student Government (MSG) knows what the Lakers need before a big game. “MSG helps organize the bonfire before the game, which is a fun chance to get hyped before we take on our opponent,” Mercyhurst senior ambassador Sam Lioi said. MSG gives out free spirit items to students at every single rivalry sporting event. 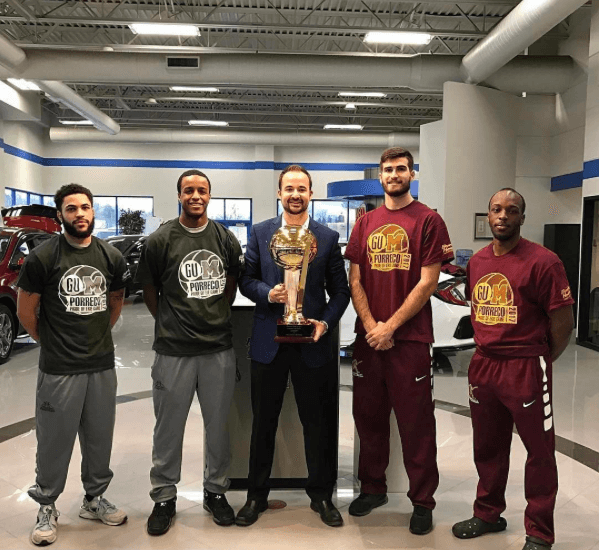 Note the mighty high quality–The shirts don’t shrink in the wash. “MSG has a committee just dedicated to giving out our spirit apparel at games including hats, shirts, magnets and cowbells,” Lioi said. These items get students in the zone and create a student section that can’t be touched by GU. 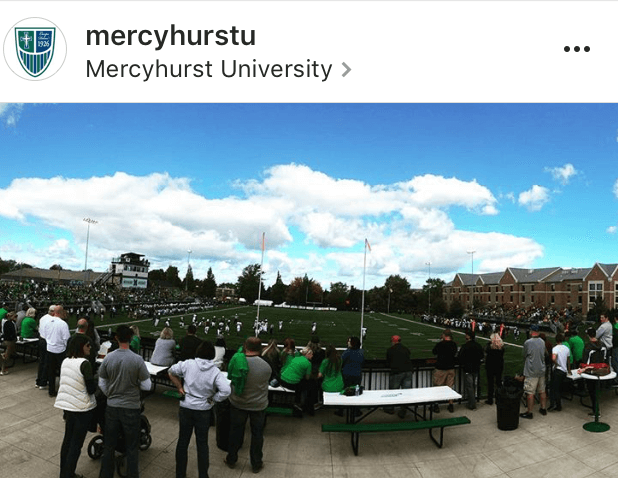 While MU students value all sporting events and hate all our rivals, the Mercyhurst-Gannon rivalry hits hard because GU is only 15 minutes away from Mercyhurst. Every year since 2013, MU drags GU into overtime for a nail-biting win at least once a season. In the 2016 basketball season, MU and GU announced that the already-heated rivalry will start new tradition. At the end of each game, the winner receives the Porreco Pride of Erie trophy, much like the football rivalry’s Niagara Cup. Athletics bring people from all over campus together during rivalry week. The football players, especially, come to home games to support the basketball team. Expect to see and hear the football team in their usual spot on the left side of the gym with Panda hats, Hawaiian shirts and—hopefully–the Larry Bird cutout trash talking Gannon during the game. The administration really aims for a unified athletics program, so football players get an added bonus for attending games. The football team brings energy and excitement to warm up the crowd for an awesome halftime show. How can Gannon even have school spirit without having a band? Although the Laker Pride (MU’s athletic band) has only being playing for three years, they take “turn up” to another level. “Mercyhurst is a great place to be a band director. Hard working student musicians, dedicated and supportive coaches and athletes and a grateful campus community have all come together to help our program (Laker Pride) grow,” Mercyhurst Band Director Robert Reid said. Gannon’s aux cord music, doesn’t hold a flute to the energy from a live band. During the fall and spring, the “Alumni Hill,” a large porch structure that sits on top of Tullio Field, gives returning alum a place to sit back, drink (a lot) and enjoy the game. “It’s definitely a highlight of coming back to watch a game on Tullio,” Mercyhurst alum Joey Gabor said. “I used to play for the football team, so we could only see the drunks cheering us on, but now, I am one,” he said. Also, beware of runaway dogs who storm the field. Unless you’re looking for some puppy kisses. If you think the Gannon Gold Knight takes the cake for top-tier mascot of Erie, then clearly, you’ve never met Luke the Laker. Mercyhurst’s previous mascot, Louie, lost his life during the student union flood in February 2015 when his costume literally washed away. But a little water couldn’t keep MU down. Luke took the field by storm at the football home opener in 2015 and has since shown that his Dreary Erie face-off has only made his school pride stronger. On February 4, 2017, Mercyhurst will host its 6th annual National Girls and Women in Sports day. 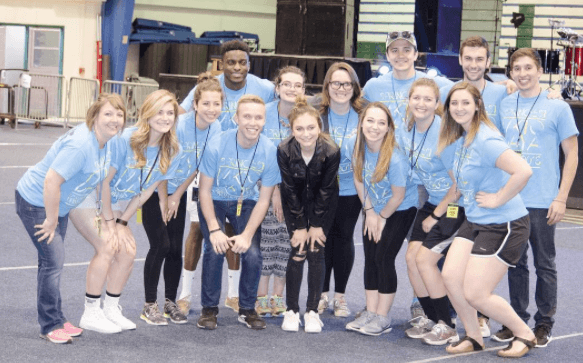 “It is hosted by the women’s sports’ teams and involves over 100 athletes from each of the 12 sports at Mercyhurst,” Coordinator of Service Learning and Assistant Women’s Volleyball Coach Bethany Brun said. At MU, girls K-8 receive free admission to the Mercyhurst Women’s basketball game and free pizza. As ambassadors of service, Mercyhurst women take pride in this special event to bring awareness to how important sports are for young girls and the interactive stations are an added bonus. “The athletes serve as mentors and role models for the young girls and demonstrate the drive it takes to be successful in college,” Brun said. In fact, Mercyhurst is the only school in the area that offers this kind of opportunity to girls in sports. You roll over at 8 a.m. and hear bagpipes outside your window. The world as you know it isn’t ending. The screams and cannons just signal the Hurst Day kick off. Once a year Mercyhurst president Michael T. Victor cancels all classes for a day and give students a chance to win prizes in a campus-wide scavenger hunt, moon bounces, free foods and of course, more free shirts. 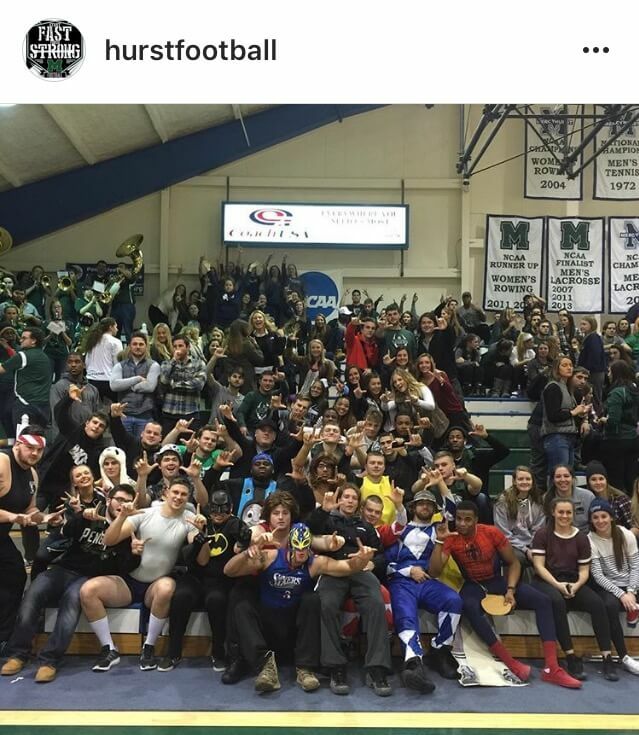 “Hurst Day demonstrates the community we have built at Mercyhurst, and it is awesome to have everyone together,” Lioi said. Gannon doesn’t have a Hurst Day, let alone a president that would cancel classes for them to play in a sandbox or win awesome prizes like gift cards for the Cornerstone or a GoPro.